Proprioception is the medical term that describes the ability to sense the orientation of your body in your environment. We have our 5 basic senses for interaction with our external world, and we have senses responsible for perceiving our internal world including proprioception. Proprioception is a constant feedback loop within your nervous system, telling your brain what position you are in and what forces are acting upon your body at any given point in time. It is sometimes called the “6th sense.” It lets you know where you are in the world & signals which parts of your body to activate. The word "Proprioception" is a combination of the Latin proprius, meaning "one's own", and "perception." It is a perception of self or, a perception of where your body is and what it's doing. In humans, it is provided by proprioceptors in skeletal striated muscles (muscle spindles) and tendons (Golgi tendon organ) and the fibrous membrane in joint capsules. It is distinguished from exteroception, by which one perceives the outside world, and interoception, by which one perceives pain, hunger, etc., and the movement of internal organs. 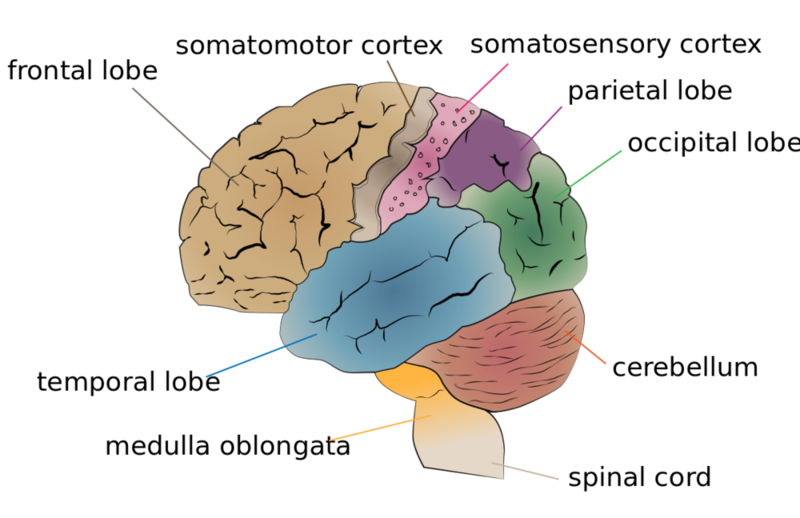 The brain integrates information from proprioception and from the vestibular system into its overall sense of body position, movement, and acceleration. This has sometimes been referred to as kinesthetic sense. Proprioception has also been described in other animals such as vertebrates, and in some invertebrates such as arthropods, and most recently in flowering land plants (angiosperms). Essentially it’s where our bodies perceive themselves to be in relation to the world around us, so affects balance and in turn which muscles fire and when. Proprioception affects our lives every moment of every day, and allows us to accomplish complex tasks that would otherwise be impossible. Take, for example, the complex task of driving. We are able to keep our eyes on the road and simultaneously adjust our arms and hands on the steering wheel, and apply the appropriate amount of pressure to the pedals to maintain speed. Talented drivers can also change the radio station, eat small meals, reach for something in the rear seat, or any host of other tasks while maintaining eye contact with the road ahead. If humans had to observe their limbs to successfully accomplish tasks, we would have to look down at our feet every time we wanted to change from gas to brake, or stare at our arms if we wanted to make a right turn. The distraction would make driving nearly impossible. Human beings do not have a single organ for proprioception. Instead, the sense is processed by the entire nervous system as a whole. Inside every muscle and joint lie tiny meters called muscle spindles and Golgi tendons that constantly measure the amount of tension and degree of contraction. This information travels up a discreet highway in the spinal cord called the spinocerebellar tract, and makes its way to the cerebellum. The cerebellum accepts information from every muscle and joint in the body, and calculates where the limbs must be in space. The system is not perfect, but gives a rough estimate to allow for basic task completion. We can use our vision to confirm limb position for more technically demanding tasks. Since this is processed by our nervous system, when there is disruption to our nervous system through trauma, anxiety, stress, etc our proprioception is also affected. Conscious proprioception is communicated by the dorsal column-medial lemniscus pathway to the cerebrum. Non-conscious proprioception is communicated primarily via the dorsal spinocerebellar tract and ventral spinocerebellar tract, to the cerebellum. When a human experiences something that is disruptive to the nervous system such as injury, stress, trauma, or shaming - there is an affect to the entire system. It changes the way a person perceives themselves in their environment. Proprioception is impaired by diseases or injuries affecting the musculoskeletal system, like an ankle sprain or diabetic neuropathy and strokes. Patients suffering from these types of conditions are predisposed to falls and repeat injuries. The reason proprioception is so important is that it is not just limited to the large skeletal muscles, as the above examples might suggest: In order to speak, your brain needs to use proprioception to keep track of where your jaw and tongue are and what shape your throat is. In order to drive, you need to be able to move the steering wheel, the pedals and all the other controls without looking at them. Touch-typing or playing any musical instrument requires you to move without looking at your hands. Even holding an object - a pen, a cup, a spoon, your partner's hand - uses proprioception as well as the sensation of touch. Walking requires accurately moving hips, legs and feet and without proprioception becomes impossible without monitoring those limbs with your eyes, sending a continuous stream of corrections on the basis of what you can see, rather than the much faster and more accurate basis of what you "know". Join the Women’s Embodiment Course to cultivate precision in your proprioception.